Aswanley Horse Trials, where the Glass Community Association serve tea, coffee and home bakes from 12.30 until 6pm. 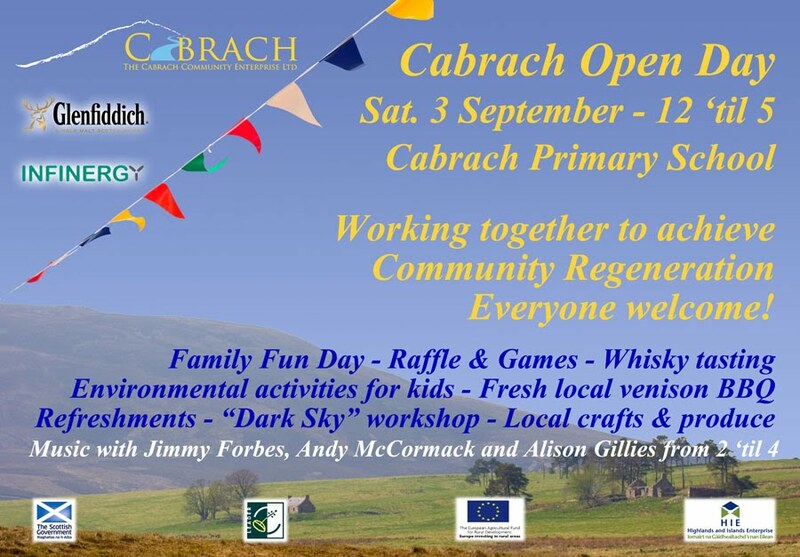 Cabrach Open Day – a Family Fun Day! Click Here for more details. Posted on 26/08/2011 by Glass Community Association.